… were the predominant colors last weekend. 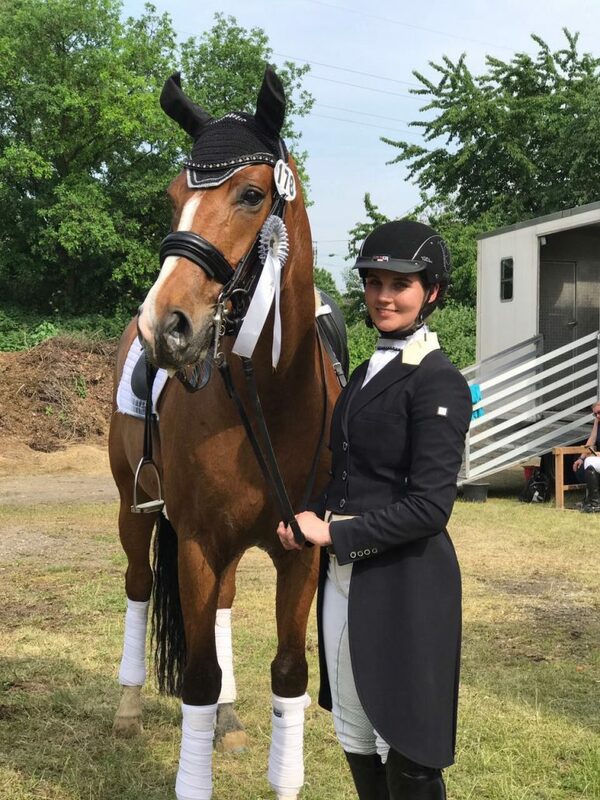 Joana Peterka, trainee “Classical Riding Education” in the second year of apprenticeship, who only dared her first L-dressage last season, now rode the 12-year-old “Zanzibar” to a second place in the “S” in Ratingen-Lintorf! 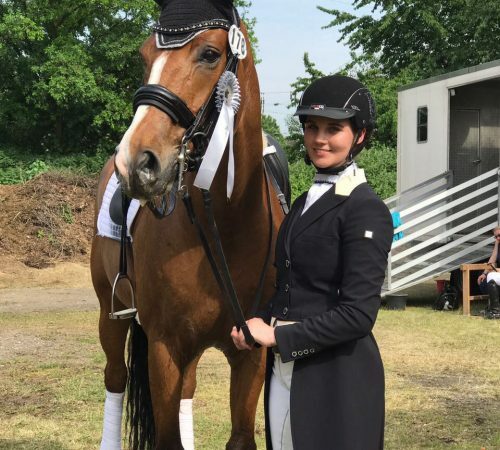 Petra Wolf with her “Don Dooley”, a successful member of our “Team Wesel” scored a few more points and, like in the M **, won this competition on S-Level. Training colleague Kim-Ann Heyna also secured a good position with “Levin” in the M **. 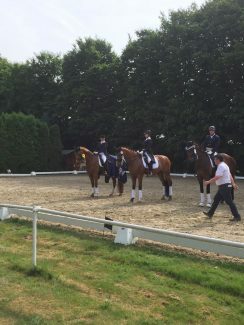 In Burscheid Lynn Suckow with mare “Leni” won their E-Level test. 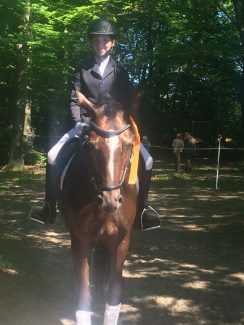 Bronze medal at the “Düsseldorfer Stadtmeisterschaften” Off to the German Championships in Balve!